BBC has been running a four-year series on the science of happiness. The results are truly fascinating. In some ways, they are encouraging, because they indicate that there are many ways to be happy, or more happy, without gaining wealth or income – good news in an era when many people, in the U.S. and Europe, are struggling to find employment. ***Happy people live a lot longer: According to Professor Diener the evidence suggests that happy people live longer than depressed people. “In one study, the difference was nine years between the happiest group and the unhappiest group, so that’s a huge effect”. *** We’re richer but often not happier: “Standard of living has increased dramatically and happiness has increased not at all, and in some cases has diminished slightly,” said Professor Daniel Kahneman of the University of Princeton. “There is a lot of evidence that being richer… isn’t making us happier”. *** What DOES bring happiness? Ed Diener: First, family and friends are crucial – the wider and deeper the relationships with those around you the better. It is even suggested that friendship can ward off germs. Our brains control many of the mechanisms in our bodies which are responsible for disease. Just as stress can trigger ill health, it is thought that friendship and happiness can have a protective effect. According to happiness research, friendship has a much bigger effect on average on happiness than a typical person’s income itself. [One economist, Professor Oswald at Warwick University, has a formula to work out how much extra cash we would need to make up for not having friends. The answer is £50,000. ] Marriage also seems to be very important. According to research the effect of marriage adds an average seven years to the life of a man and something like four for a woman. The second vital ingredient is having meaning in life, a belief in something bigger than yourself – from religion, spirituality or a philosophy of life. The third element is having goals embedded in your long term values that you’re working for, but also that you find enjoyable. Psychologists argue that we need to find fulfilment through having goals that are interesting to work on and which use our strengths and abilities. None of this is new or surprising, and all of it is consistent with common sense. Yet, remarkably, how many of us pursue wealth and income, in the pursuit of happiness, often at the expense of those very things that do bring us happiness? Why? Writing in Market Leader (Quarter 4 2010), John Kearon (founder, CEO and ChiefJuicer at BrainJuicer Group) writes provocatively that: “….the adoption of ‘marketing science’ is the reason why large corporations no longer seem capable of creating the kinds of new category innovations that made them big in the first place. ….. it is freedom from the constraints of marketing science that has enabled small startups to innovate and initiate new behaviours”. A perfect example is Nokia vs. Apple. Nokia carried out perhaps the largest market survey ever conducted by a major corporation. Surveying 300,000 cellphone users, in 2006-7, Nokia sliced and diced its market, segmented it into a 2×2 “aspiration vs. involvement” map, identified 12 different market segments, and tailored its “N” phones and its “E” phones precisely to the needs and wants of each segment. In a presentation I heard personally by a brilliant young Nokia VP, Nokia spoke (this is in 2007) of multi-media devices, not cell phones (what we now call smart phones), and spoke of the fourth screen (the first three were movies, TV, computers, and the fourth – cell phones), being different from the other three, in that it created ‘connectivity’, ‘connection’…. So Nokia ‘got it’. Perfectly. And then Steve Jobs ate their lunch…and their supper, breakfast, and everything else in the cupboard. Nokia has now lost the profitable U.S. smart phone market. What happened? Over-management. Over-marketing. Over-slice/and/dice. Failure to grasp the need for buzz and excitement when a new ‘category innovation’ like a smart phone is being launched, something Steve Jobs understands intuitively. Apple has never had anything like the market survey excellence that Nokia has. In spite of this – perhaps because of it? 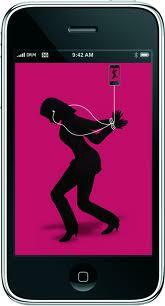 – Apple has triumphed. If you are a startup, or dream of one, you have a huge advantage in category innovation. If you are a big market-survey-driven organization, you have a huge problem – unless you can find a way to enable inventors/entrepreneurs to thrive within your bureaucratic humdrum disciplined button-down culture. Where is the proof of God? Work proceeds apace at the Hadron Accelerator in Switzerland, to simulate the Big Bang – the creation of the universe, when matter imploded intensely, then exploded intensely, expanding outward, and it still is. Hubble’s measurements originally showed that the rate of expansion would slow, and the Universe would again implode inward, explode… etc. This perpetual Creation, perhaps, contradicted abstractly the Biblical account. Then came Sandage, showing that the Universe would expand outward forever. That meant that there was only one Big Bang and one act of Creation. It is thus possible to interpret the Genesis account of Creation, as: Big Bang, “…God called the light “day,” and the darkness he called “night.” And there was evening, and there was morning–the first day…” and that Day lasted several billion years (remember the sun had not yet been created). We know this wasn’t your intention, Allan. You simply sought the truth. But thanks anyway. Rest in Peace. Nespresso: Make Meaning, Make Money – Lots and Lots of It! The history of coffee is replete with remarkable innovations, that consistently do what all innovators strive to do – take a simple inexpensive commodity, and move it higher and higher up the value chain. Nestle, the global food company, is remarkably good at doing this, through branding. But Nespresso? This is another world entirely. Nestle, through Nespresso, has created an entirely new culture. Note that the word “culture” has, as its first four letters, the word “cult”. This is what Nestle has intentionally created – a Nespresso cult. It has found a way to take a commodity, coffee, and create not a good, not even a service, but a transformational experience – drinking Nespresso – with a new language (color-coded pods, and flowery descriptions of the varieties of coffee in the pods) and an entirely new level of profit margins on selling coffee. Nespresso is a coffee system in which a Nespresso machine forces steam through a 5-gram aluminum ‘pod’ of coffee, to make tasty espresso. Nestle makes money both from the Nespresso machines and from selling the pods of coffee. Espresso pods like those from Nespresso have become one of the fastest growing segments of the coffee market, with pods accounting for 20 to 40 percent of the value of ground coffee sales in the European coffee market that totals USD 17 billion. In August 2010, it is reported that sales from Nespresso have been growing at an average of 30 percent a year over the past 10 years and more than 20 billion capsules were sold since 2000 at a current selling price equivalent to about $ 0.43 to $ 0.62 a capsule. Let’s run the numbers. I have just spent some NIS 500 (about $135) to buy 23 sleeves of Nespresso pods, each sleeve containing 10 pods. One pod, then, costs about 60 cents, which is the cost worldwide, on average. Bought at retail, a pound of coffee can cost between, say, $1.99, up to, say, $5.99 (Starbucks). Until now, Starbucks has been the gold standard for selling coffee for exorbitantly high prices ($5.00 or more for a latté). But Nestle takes the prize. Five grams of coffee (1/200 of a kg.) at 60 cents each means that a kg. (2.2 pounds) of podded coffee costs 60 cents x 200 or $120.00. Or, one pound of podded coffee costs $120/2.2 = $55. In other words, about 10 times the cost of a premium branded Starbucks bag of coffee. Nestle has managed to run up the price of coffee by an order of magnitude. Part of the secret is technology – the Nespresso machines force steam at high pressure through the pods, and thus require using less coffee. Part of the secret is marketing – creating a culture of Nespresso pods, color-coded, each with flowery descriptions, thus creaming “meaning” for coffee drinkers. For instance, my wife likes Rosabaya de Colombia, Colombian coffee; I prefer Kazaar, a limited experiment with very strong coffee that alas has been discontinued. You cannot buy the pods in a supermarket – that would demean them, and moreover, would force Nestle to share its margin with the retailer. You buy directly from Nestle, usually on-line or in special outlets. This ‘channel’ innovation also deserves careful study. I cannot think of another innovation that has made so much out of so little. The Nespresso brand should be carefully studied by all innovators, to learn secrets that can transfer to non-food products. America’s 99’ers: BO, Phone Home! A disturbing and angering segment on the CBS show 60 Minutes featured the 99’ers – Silicon Valley high-tech engineers and managers who are unemployed, and whose unemployment benefits are running out because they have used all 99 weeks – after Congress extended unemployment benefits at a cost of $100 b. San Jose alone, the capital of Silicon Valley, has 75,000 persons who have lost their jobs. In October nearly one American in 10 were unemployed. Some 42 per cent of them had been out of work for 27 weeks or more; and 20 percent, for a year or more. Many of the 99’ers are about to lose their homes through mortgage foreclosure. Many are 50 or over, and have no hope of gainful employment, other than working at Wal-Mart or McDonald’s for as much as $9 per hour. Many have used up their IRA’s, their savings, their 401k’s, believing the jobless period would be temporary – and finding it might well be permanent – at least at the level of skill they worked at previously. The actual unemployment rate is far higher than 1 in 10. Those who have given up job-hunting are no longer considered part of the labor force, hence do not count as unemployed. The legions of workers who can find only part-time work are also not counted. So, true unemployment rates must be 16 per cent or higher. And a very large segment of the American workforce believes they might become unemployed in future, living under a sword of Damocles. The only way America will regain well-paying jobs for its middle class is by curing its addiction to inexpensive Chinese imports and producing far more of its consumption goods in America. This is America’s #1 issue. After badly losing the Nov. 2 mid-term elections, President Barack Obama spoke with the press, intimating that basically he felt the American people were ungrateful, and failed to understand what a heroic job he and the Democrats had done in grappling with the worst economic crisis since the Depression, a crisis dumped on him by Bush and the Republicans. He indicated he thought the election drubbing was caused by his failure to communicate. BO, phone home! Right now you are travelling the world, visiting India, Indonesia and Portugal. Apparently you think that by playing foreign policy games, somehow the American people will come to admire you more. Phone home, Obama. Phone the Silicon Valley unemployed. Come home! Stay home, unpack your bags. Focus every day, all the day, on jobs. Never since the 1930’s have so many Americans been unemployed for so long. They are losing hope. This is the #1 problem – and #2 and #3. How is it that neither you nor your Administration get it? What must happen for you to come home and deal with it? In 2007, we visited Nokia headquarters on a benchmarking visit with a group of Israeli managers. We heard from top Nokia leaders, including Jorma Olilla, and were deeply and profoundly impressed by what they told us. A Nokia VP, Jonas Gøst (pronounced Guest), told us about his “four screen” analysis — the first screen was movies (individual enjoyment); the second screen, TV (individual enjoymenet), third screen computer (individual enjoyment), but the fourth screen is MMD (multi-media device), the experience is communal/networked. MMD of course is a “smart phone”. Nokia truly “got it” early. They did their homework thoroughly. They surveyed 300,000 cell phone users, understood their needs, and segmented the market into 12 segments, and designed and marketed a phone specially tailored for each. They invented smart phones. By all odds, Nokia should today RULE the smart phone market worldwide. The actual result: as of Q3 2010, Nokia’s global cell phone market share has fallen, in just 12 months, from 36.7 per cent down to 28.2 per cent, a huge drop of 8.5 per cent in just a year. Nokia’s mobile operating system Symbian once ruled the world, and is now plummeting, overtaken by Android. Nokia has lost the American smart phone market to Apple, and has nearly disappeared from that key market. Apple ate their lunch. I think it is all about execution. In innovation, if you don’t execute, you will be executed. The mobile OS Symbian was complex, hard to use, and failed to enlist masses of developers. Nokia’s decision to make it ‘open source’ Symbian, spun off into a non-profit foundation, was a huge error. The Nokia smartphones were well designed, well conceived – and failed to excite, they had no ‘wow’! Nokia focused on the ‘what’ of product development, not on the ‘for whom?’ (for those who love cool stuff, e.g.). You can have the greatest strategic innovation plan in the world. If you don’t execute it fl flawlessly, your products will be executed – and so will you — Olli-Pekka Kallasvua the Nokia CEO has been fired and replaced by former Microsoft executive Stephen Elop. Elop’s first decision has been to radically revamp Symbian, re-integrate it into Nokia and improve it radically. So far, winter has failed to appear in Israel. Normal winter rains have not occurred. With a worldwide water shortage, and a particularly fierce water shortage in the Mideast, this is a cause of worry. The centerpiece of this innovation is the Shafdan wastewater treatment plant in the densely-populated Greater Tel Aviv region. This plant alone treats 130 m. cu. m. of water annually. The water quality is high, making it suitable for all forms of irrigation, including for oranges, carrots, potatoes, lettuce, wheat and flowers. On a personal note: My daughter and her family live in the Western Negev and their hothouses use the treated water from Shafdan to grow peppers, cherry tomatoes and other vegetables for export. A special 90 km. pipeline has been built to the Negev, carrying water from reservoirs and other sources specifically for purposes of agriculture, in addition to the drinking water pipelines. The world is invited to visit Shafdan, in Rishon LeTzion, Israel, learn about its technology, and adopt and adapt it for its use. Enormous water savings could result. The additional water it creates could reduce the cost of fresh food. Germany Puts America In Its Place – It’s About Time! Readers have noticed: This blog has been highly critical of America, America’s President, America’s Treasury Secretary, and the economic (non)-policies they have implemented. Turns out American voters felt the same way on Nov. 2. Obama apparently thinks the failure was one of communication – he just did not explain how he saved America. It is the American voters, apparently, whom we need to replace, not the President. They don’t get it. Following the G-20 summit in Seoul Korea, Obama made an incredible statement detached from reality. It was tough going, he said, but – we achieved consensus! We did? Consensus? On what? The only consensus reached was on the utter stupidity of America’s current analysis of global problems. It’s not us, say Obama and Geithner. It’s everybody else. When will this pair get real? 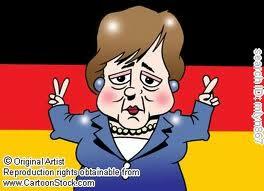 The United States is the one that must take the necessary steps to increase its competitiveness, she said. The U.S. should not try to put limits on countries that have figured out how to get the world to buy their goods. “In the task ahead, the benchmark has to be the countries that have been most competitive, not to reduce to the lowest common denominator,” she said. Ouch! — America being called “the lowest common denominator.” Her finance minister, Wolfgang Schäuble, was even more blunt. He described American policy as “clueless” and said the American growth model is stuck in a deep crisis: “The U.S.A. lived off credit for too long, inflated its financial sector massively and neglected its industrial base.” Ouch again. Germany — previously sneered at by U.S. pundits for its “weak and sclerotic” economy — lecturing America about how to grow its economy. Merkel said something else that is even more of a game changer: “It is essential to return to a sustainable growth path.” One cause of the crisis was that “we did not have sustainable growth. In many countries growth was built on debt and bubbles.” What Merkel was saying is that the era of U.S.-style consumption-driven economics is over. The world needs to figure out how advanced economies can provide for their people without having roaring growth rates driven by asset bubbles, and how to develop in a way that is ecologically sustainable. If consumer-driven growth was the order of the day in the post-World War II era, in the new era of Pax Germania it will be steady-state economic growth — not too fast, but not too slowly — and producing value-added products that the rest of the world wants to buy. Utilizing more conservation and renewable energy technologies than the United States, Germany already has reduced its carbon footprint to half that of America’s — and it provides universal health care and has less inequality. America ruined both its own economy and that of the world. It and its leaders should remain perfectly silent for, say, 20 years, and listen carefully to others who have done better. America is financially and morally broke. Good for Angela for speaking out. She said what many other world leaders have been thinking for years but have hesitated to say out loud. Hot Potato: Which Country Will Be Burned? In Korea, at the G20 meetings, President Obama said to Asian leaders: Don’t count on America to continue to create jobs for you. Here is what he meant. Children play a game called “hot potato”, a party game in which players sit in a circle and pass a potato to one another while music plays. The player who holds the ‘hot potato’ when the music stops is out. The game ends when there is only one player left. Nations of the world are currently playing ‘hot potato’ with unemployment. Here is how it works. America imports $620 b. more than it exports. If this number were zero, that is if America produced itself the import surplus it currently gets from abroad, 5 million jobs would be created, and America’s unemployment rate would fall from nearly 10 per cent to about 6 per cent. This will get Obama re-elected in 2012. At the same time, if America’s trade balances, Asia will lose about 40 million jobs — half of them in China. (Asia loses far more jobs than America gains, because American productivity is about 8 times higher). Even China cannot absorb such a huge loss of jobs without severe social unrest. WTO rules forbid imposing tariffs. Budget deficits are already excessive. 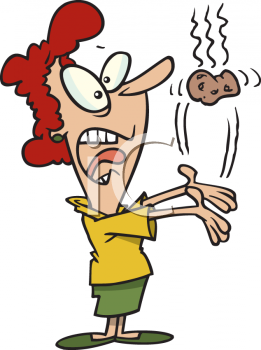 So the “hot potato” game becomes one of currency devaluation. By printing up to $1.5 trillion in new money, America purposely seeks to devalue the dollar. This, despite the mealy-mouthed declaration of Treasury Secretary Timothy Geitner that this is not America’s intention. China, Japan, Korea and Taiwan can prevent this dollar devaluation by simply buying up huge amounts of dollars, as they have in the past. A sub-game called “Chicken” will result — how many dollars will America print, how many will Asia buy, before one country is “chicken” and gives up? Who in the end will be stuck with the unemployment “hot potato”? This game is totally unnecessary. If leading nations got together and built a consensus policy for rebalancing the world economy and for stimulating trade and growth worldwide, over the coming decade, all would benefit. Win-win. But so far, there is not one sign this will happen. When one or more nations are burned by the hot potato, ultimately, all are. New Corporate Function: CIO, Chief Innovation Officer – Is This a Useful Innovation? Writing in this week’s Bloomberg Business Week, consultant and author Mark Johnson * discusses the relatively new role of CIO – Chief Innovation Officer. Today such leading companies as AMD (AMD), Citigroup (C), Coca Cola (KO), DuPont (DD), Humana (HUM), and Owens Corning (OC) each have one. Many others, including Johnson & Johnson (JNJ), have senior leaders who are tasked with heading innovation in effect, if not in name. Johnson says the CIO has three major functions (though these vary a lot, of course, across different organizations): “….there are three critical areas of innovation for which all top innovation executives should take responsibility: language, learning, and long-term structure. Does your organization have a CIO? Would you like to become one? What qualities and skills will it take? How will you acquire them? * See: Seizing the White Space: Business Model Innovation for Transformative Growth and Renewal, Harvard Business Press, February 2010.